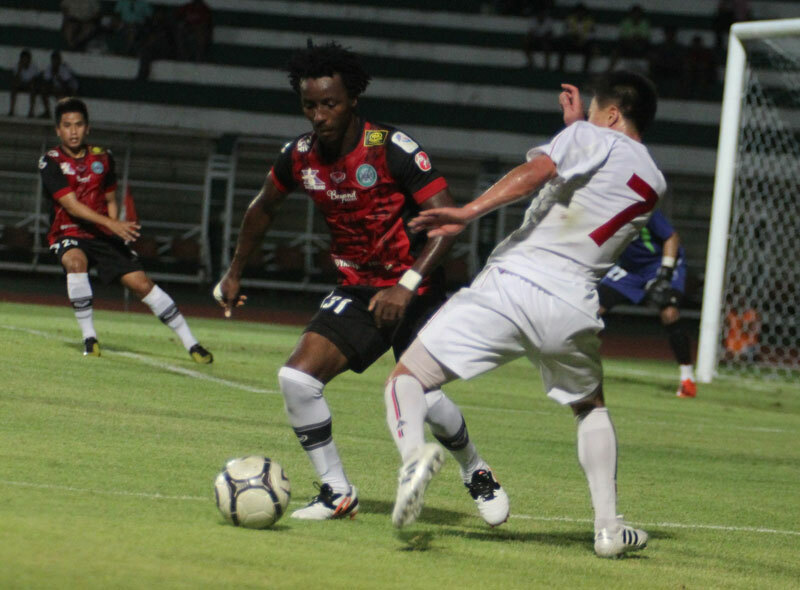 FOOTBALL: A pre-season friendly match between Phuket FC and a top North Korean League team ended with a narrow victory for the visitors. 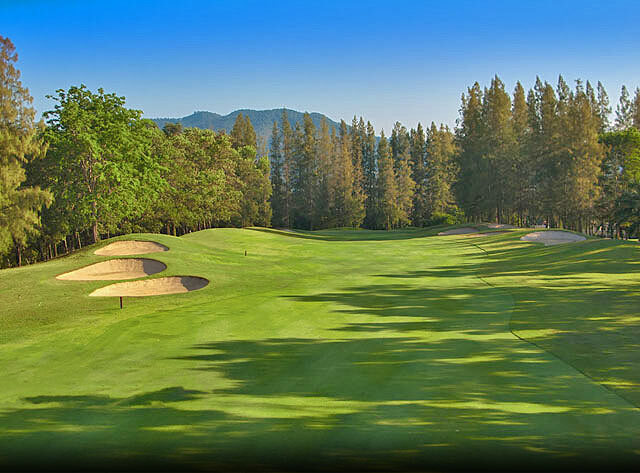 GOLF: Patong Beach Rotary Club are organising a charity golf tournament, which will be held at the Laguna Phuket Golf Club (LPCG) on Friday, March 1, from 10.30am to 7pm. 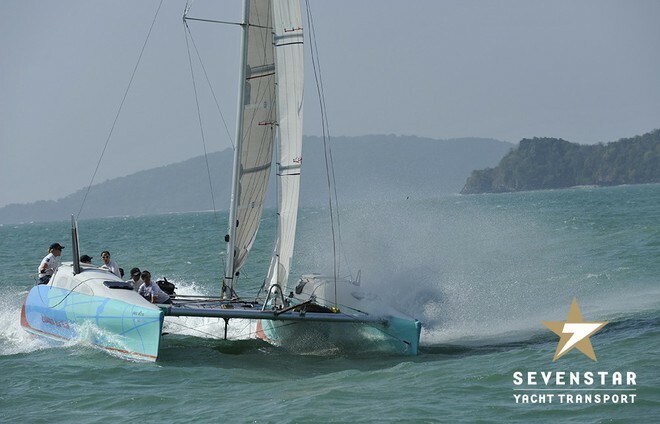 SAILING: Among the yachts taking part in the Bay Regatta between Phuket and Krabi this week is one crewed by the first all-women team to enter the four-day race. 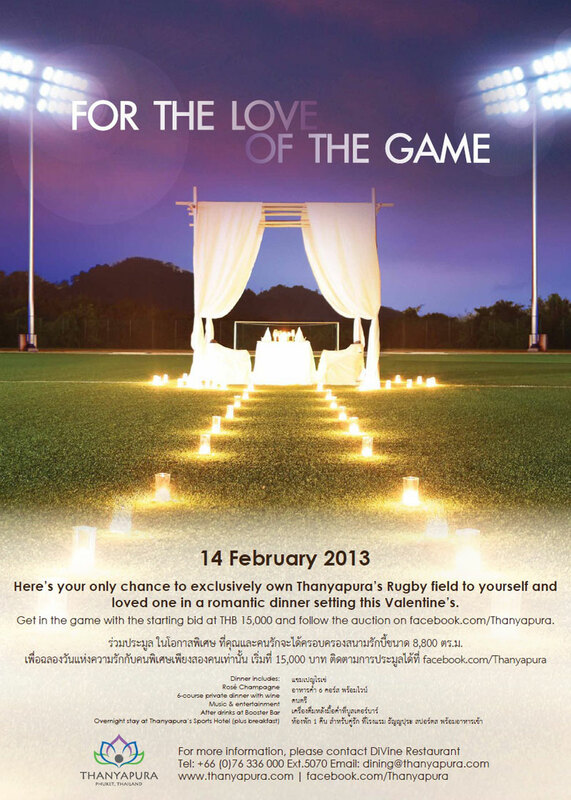 PHUKET: Thanyapura Sports and Leisure Club are auctioning an exclusive Valentine’s Day dinner for a single couple in a rather unique location – their rugby field. 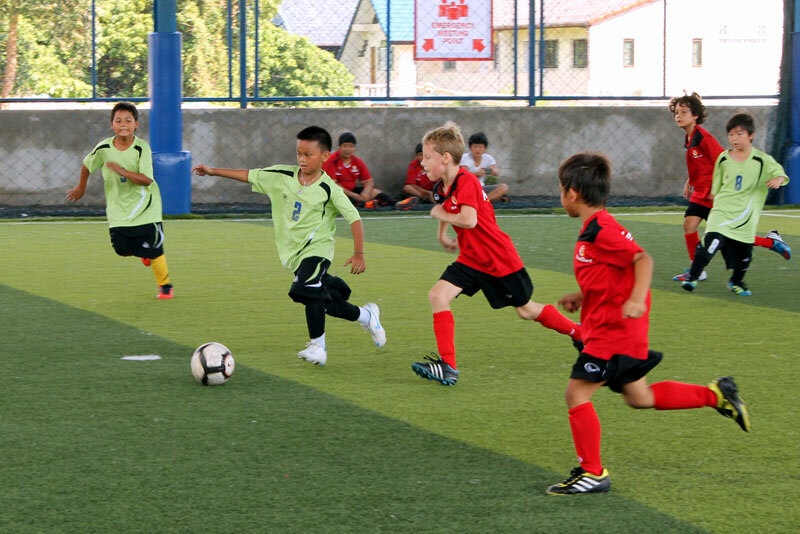 FOOTBALL: The Phuket Schools Football League kicked-off last weekend – the first round games included teams from Kajonkietsuksa and Headstart International schools, who played on the HeadStart pitch in Kathu on Saturday (January 26). 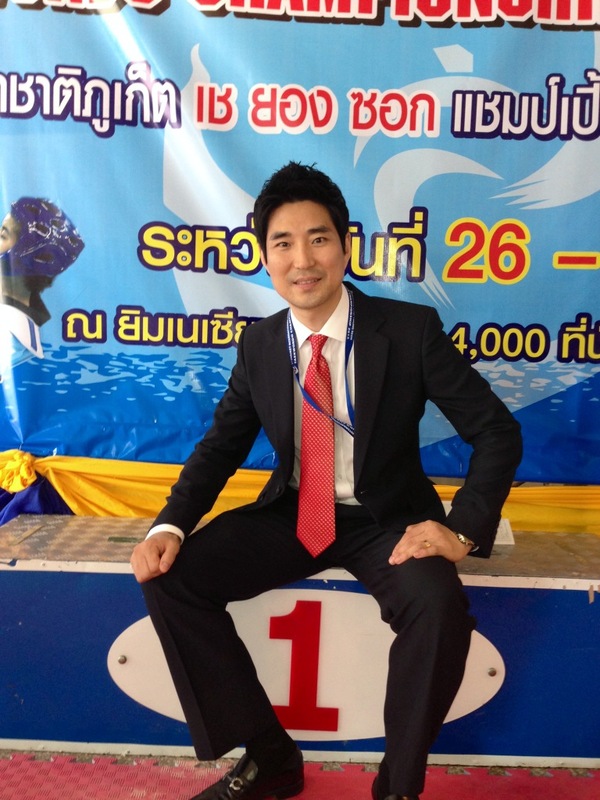 PHUKET: The coach of the national Taekwondo team, Choi Young Seok, says last weekend’s Phuket International Taekwondo Championship was an important step in Thailand’s pursuit of international success in the sport. FOOTBALL: A North Korean football team will play a friendly game against Phuket FC at Surakul Stadium on Thursday. 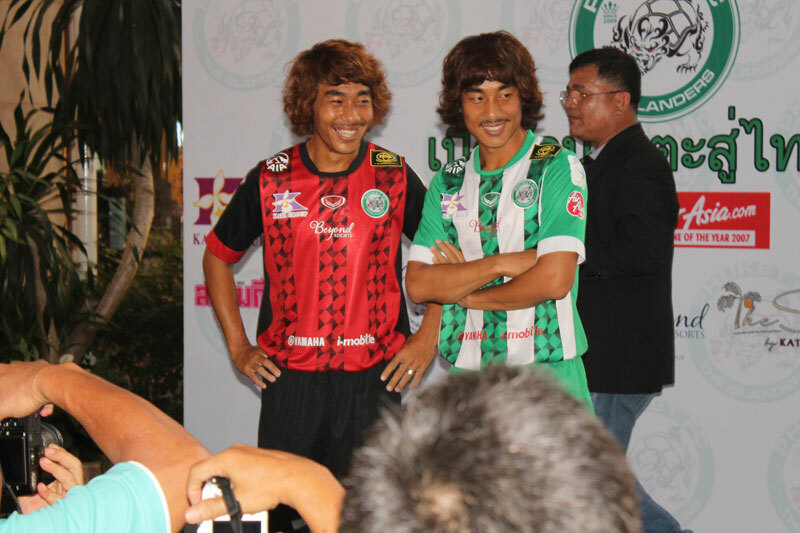 FOOTBALL: Phuket FC presented their 2013 football squad to the public, fans and the media at Central Festival on Saturday. 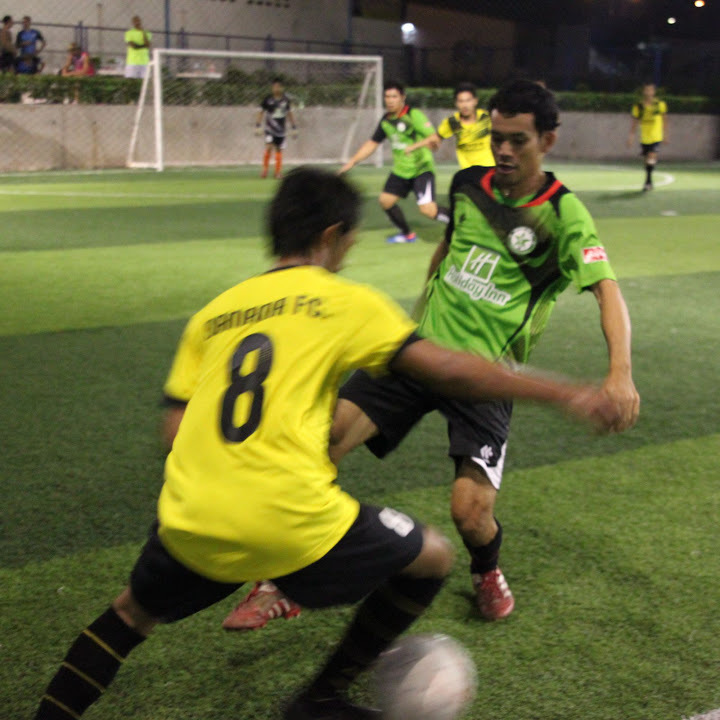 FOOTBALL: After Round 03 of the fourth season of Phuket’s Super Six Football League, two teams now stand out as favourites in division 1. Meanwhile, the results are still very even in divisions 2 and 3. TRIATHLON: On December 1, Challenge Family announced a partnership with Asia’s longest running triathlon and in doing so, revealed its commitment to developing a series of half and full distance events throughout the region. 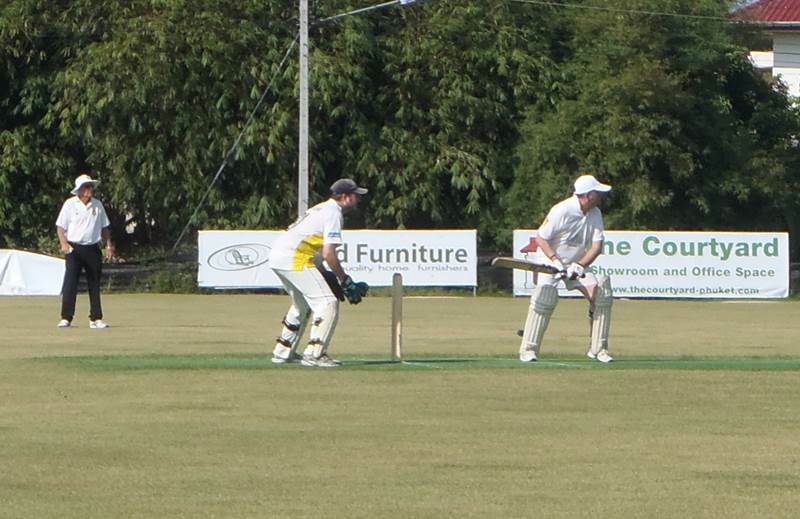 CRICKET: Thanyapura News Tigers (TNT) and the Village Cricket Team (VCT) were both looking for their first victory of the year at the Alan Cooke Ground (ACG) on Sunday (January 20), in the latest game of the Jones Lang LaSalle Hotels Phuket Cricket League. But it was TNT who went home with the bragging rights. WAKEBOARDING: According to the Transworld Wakeboarding website wakeboardingmag.com, the celebrated Unit wakeboarding crew recently tested out Phuket's new Sesitec/UNIT wake park. 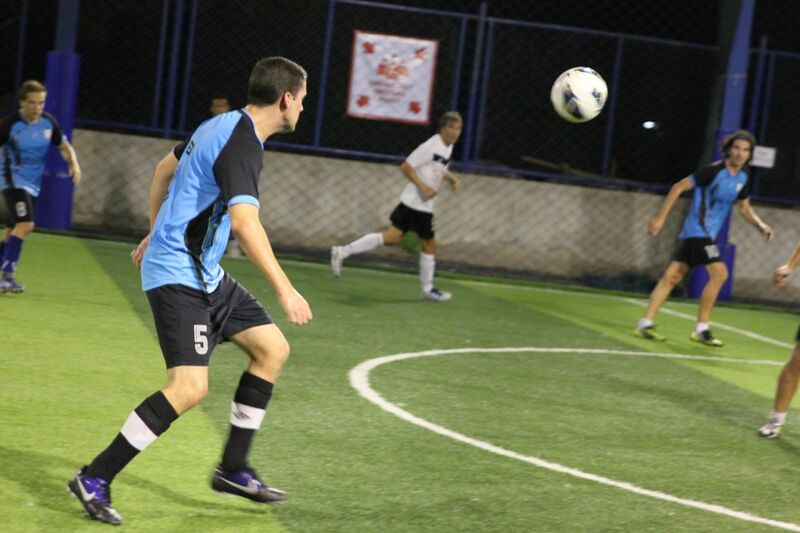 FOOTBALL: Round 02 in the Super Six league showed us how tight it is going to be across all divisions. This will be no Sunday walk in the park. 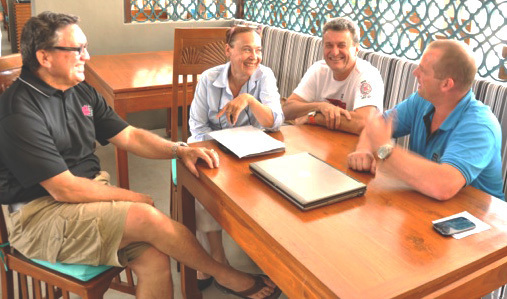 SCUBA DIVING: I have been privileged to meet some great names within the diving community: the Cousteau dynasty, Ron and Valerie Taylor, and Jacques Mayol to name but a few. FOOTBALL: Anticipation is building for the Phuket Soccer Schools (PSS) 3rd Phuket International Youth Tournament, which will be held in just three week time at the Thanyapura Sports and Leisure Club in Thalang. 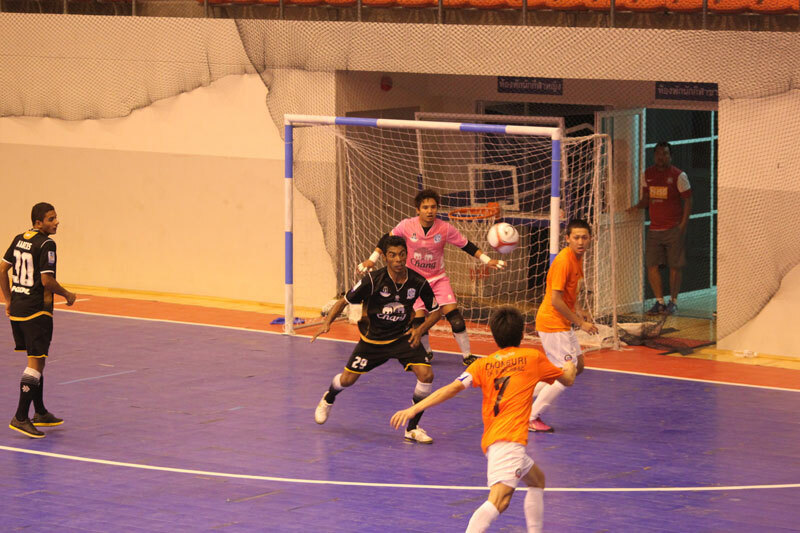 FUTSAL: Thailand’s top-ranked futsal team Chonburi Sharks inflicted a 3-2 defeat on Phuket United at the Saphan Hin gymnasium on Saturday (January 12), bringing an end to the Andaman Pearl’s five-game winning streak. 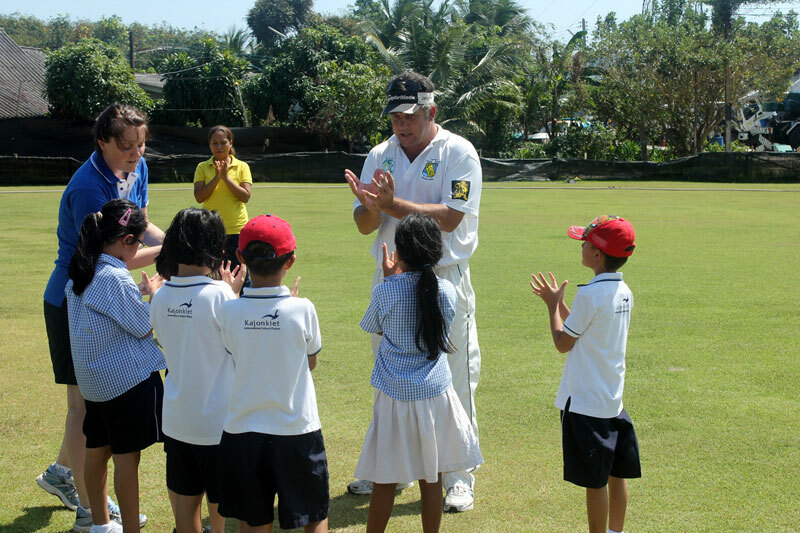 CRICKET: The Phuket Cricket Group (PCG) held a special cricket coaching session for 33 schoolchildren from the Kajonkiet International School on Friday (January 18), at the Alan Cooke Ground in Phuket’s Thalang district. 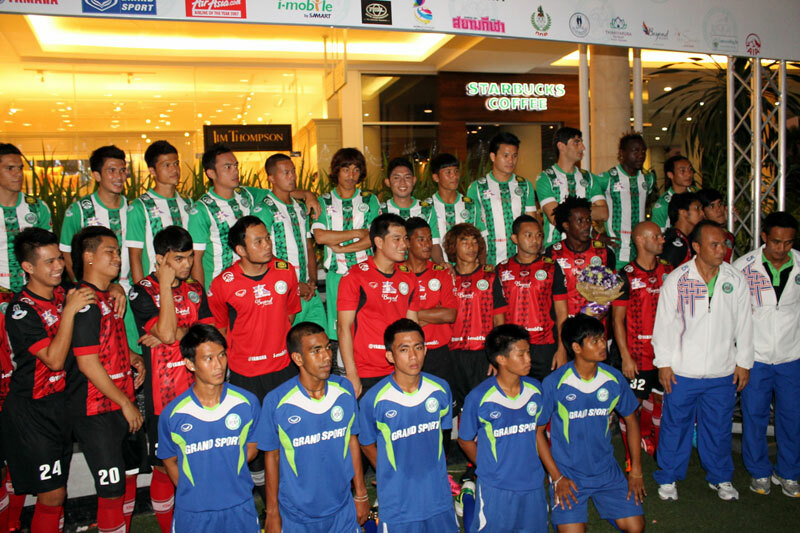 FOOTBALL: Phuket FC are holding a friendly game against Trang FC on Saturday at Phuket's Surakul Stadium. FOOTBALL: Phuket FC have selected the Thanyapura Sports and Leisure Club (TSLC) in Thalang as their training pitch for the next 12 months, as the Islanders push for promotion to the Thai Premier League.